When I hear the words "We Win" I instantly think of Chief Apostle Olive C. Brown. If you're in her presence or connected with her on social media, "We Win" is always in the conversation or post. She encourages the masses each day. Some know her personally and many are blessed because of the connection. This woman of God has served her family,community and church fellowship for over 50 years. In 1992, she founded the International Christian Ministries, Incorporated, (ICM), Non-denomination. Apostle is joyfully celebrating 50 years in kingdom preaching and ministry. She serves as the Apostolic covering to many prolific and effective ministries. In this organization, all five children are serving as Bishops, Overseers and Elders in ministry. Her husband of 27 years went home to be with the Lord but the prayers of him and her parents still abide on this family. 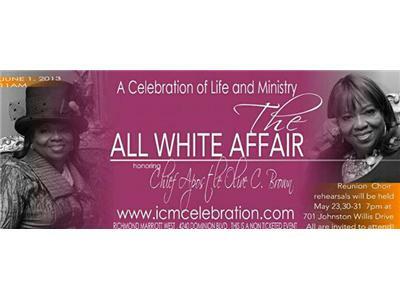 On June 1, the Kingdom will celebrate the life and ministry of this great Woman of God .This celebration is designed to honor and celebrate Apostle, as a well respected minister of the gospel, meeting the physical and spiritual needs of the community and serving thousands of Richmond and surrounding area residents. 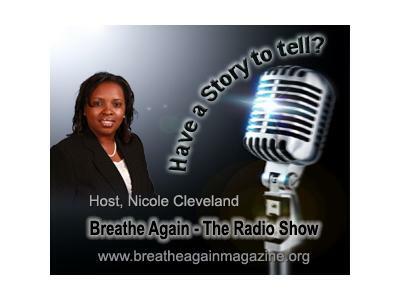 Listen as Nicole chats with Chief Apostle Olive C. Brown about her life,ministry and vision for the Kingdom.